Looking for the Best Coverage for the absolute best price? We are a full-service agency with one thing in mind - quality service. We strive to provide our clients with great insurance rates with service that is 2nd to none! At Moran Insurance Agency, we deal directly with a variety of insurance companies. This gives us the opportunity to look at many different rates for you, not just one, like many of our competitors. Moran Insurance Agency delivers quality serivce and gives special attention to all of our clients, taking the time to explain in full detail each policy and it's description. Rob Moran, president and founder of Moran Insurance Agency has been in the insurance industry for 17 years and has crafted a wide variety of clients with his experience in delivering quality serivce and great rates. 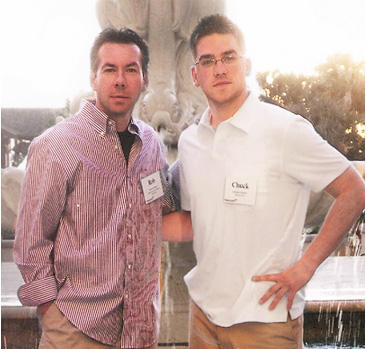 Chuck, Rob's son, joined the agency in 2005 and together, their drive and dedication to their clients is how Moran Insurance Agency has become a leader in providing insurance to the Philadelphia region and all surrounding counties in the Delaware Valley. Service is the number one priority here at the Moran Insurance Agency.